The days are beginning to lengthen, and although we are still in the grip of winter in most areas, spring cannot be far away. Within a few weeks it will be time to hit the beach, and if you are fortunate enough to live on the coast, or have a beach cottage, then it is also time to do something about the surroundings – without of course turning it into work. The last thing you want to do at the beach is water and take care of fussy plants, and that could be why, right now, the only plants around your cottage are some wild dune grasses – right? The beach certainly seems like an inhospitable place for plants, and many people just assume that nothing will grow there – after all, the ‘soil’ is almost pure sand, and it is always dry. Plus, the salt spray from the ocean burns the leaves of many plants, and they soon die. While all this is true, in fact there are many plants that will grow well even right on the edge of the beach, and many more that will grow well a little further back. Some early care is necessary, with regular watering for the first season, but after that you can relax, and get back to the lounger, with some beautiful plants to look at. Let’s look at some of the top choices of easy-care trees and shrubs you can plant around your cottage. Pine Trees – Japanese pines, both Black and White, are great, and for something different, plant the Arnold Sentinel Austrian Pine. 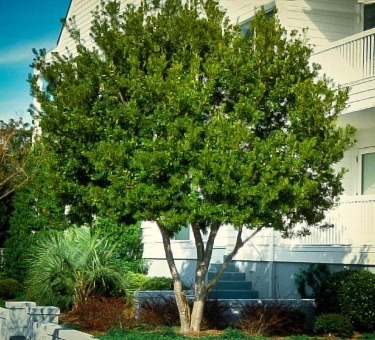 Wax Myrtle – The Wax Myrtle is a beach-front standard, American native and terrific bushy evergreen for the most exposed and driest places. Source of bayberries. Juniper Trees – Always reliable with salt-spray and dryness, but plant the Hollywood Juniper for its already wind-swept and twisted character. 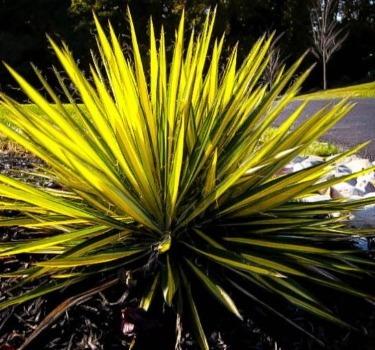 Yucca & Agave – Both Yucca and Agave are desert plants for the hottest and driest spots, surviving in the harshest spots, and growing in pure sand, these are just what you want for easy color. Rugged pines seem like naturals for the beach, and if you choose wisely, they certainly are. The sensitivity of pine trees to salt varies, so it’s important to plant the right species. 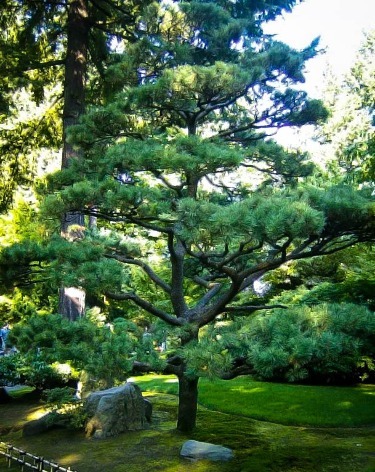 In areas like Long Island, the Japanese Black Pine has been planted for decades, but these trees are declining in some areas, so it may not be the best choice. If you live elsewhere, where this rugged tree is thriving, then it remains a great choice. There is another pine from Japan – White Pine – which is just as salt tolerant, and it makes a great alternative. Don’t confuse it with the Eastern White Pine, Pinus strobus, an American native tree, which is often seen growing along the shores of lakes, and a great choice for a lake-side cottage, but too salt-sensitive for the beach. Make sure you choose the Japanese White Pine, Pinus parviflora, which is even more salt-resistant than the widely-planted Japanese Black Pine. Another good choice is Austrian Pine, Pinus nigra, and there is a special upright form of this tree that would look great beside the door of your beach house – Arnold Sentinel Pine. This selected form grows into a narrow column of needles and would be perfect near the beach. Very cold hardy too, it would be great even on the coast of Maine. It often pays to look at native plants that can be found wild at the beach – after all, they are already perfectly adapted to it. Wax Myrtle is a shrubby evergreen, that botanists call Myrica cerifera. It is perfect for an informal hedge or screen, and the glossy, leathery leaves of this shrub are untouched by salt spray, even right on the shore-line. Once established it will deliver a bonus you can harvest when you close up for the season. The small gray berries you will find among the leaves in fall are bayberries, used to make high-end scented candles. Simmer them in a pot of water to fill the house at Christmas with a spicy aroma – and look forward to the coming summer. This great shrub can reach 15 feet tall, so be careful not to block the view. 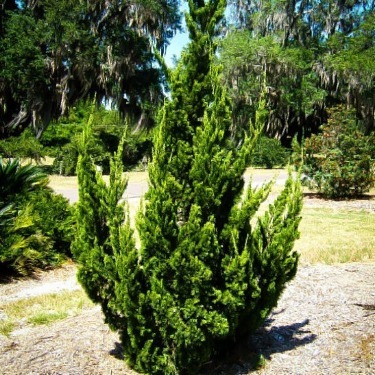 It can be kept lower and shrubby with trimming or pruned up with one or two trunks into an attractive small tree. No beach garden should be without this reliable drought-tolerant plant. Almost all the Juniper Trees are salt and drought tolerant, so they are top choices too. They form dense, upright plants, although some have more character. An outstanding variety for the beach is the Hollywood Juniper, Juniperus chinensis ‘Kaizuka’ (also known as ‘Torulosa’), which, despite its name is hardy to zone 4. This plant and is very different from the normal flat, spreading junipers or narrow upright ones – although they are all perfect choices too. Every individual bush is different, with multiple branches reaching out, and rounded clusters of dense foliage developing as the tree matures. It already has the wind-swept look that makes it perfect along the shore, and it is salt and drought resistant – of course. Another tough Juniper with a very narrow form is the Skyrocket Juniper, a selected form of a tough plant often recommended for seashore planting. Juniperus virginiana ‘Skyrocket’ lives up to its name and grows into a silver-blue column of foliage – a great contrast with rounded plants like wax myrtle. Another place to turn for tough plants is the desert. Dryness leads to high salt content in the soil, and the winds are often laden with minerals blown from the ground, so salt-resistance is common in desert plants. The similar looking Yucca and Agave plants are all perfect for the beach. Yucca has drier, leathery leaves, while Agave are thick and fleshy. The Blue Agave, Agave americana, forms huge leaves 6 feet long, in a giant mound, arching out from the center. 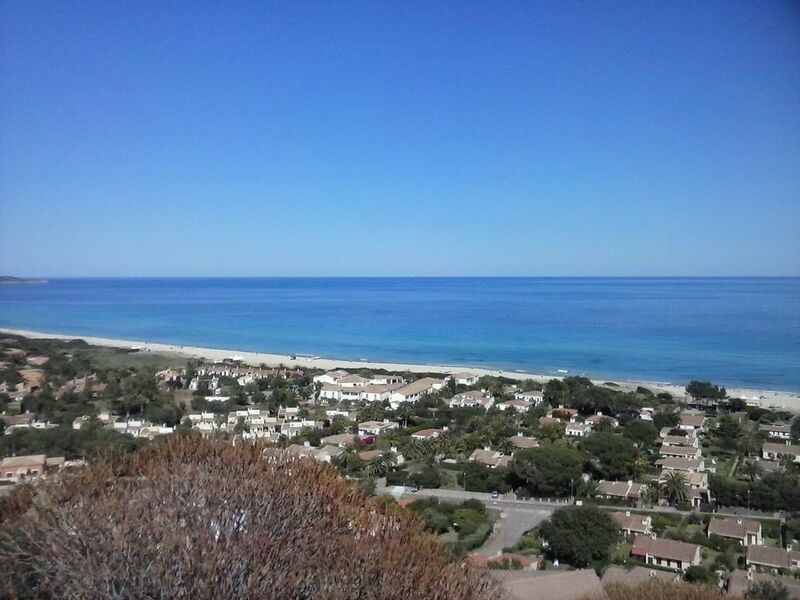 This striking plant looks perfect near the sea – even its color reflects the water and the sky. Once established it will just grow and grow, until perhaps one day it will send up a giant flower spike up to 30 feet into the air – worth waiting for! Smaller and more compact are the different Yucca plants, which form clumps of leaves 2 or 3 feet tall. Pick from the Blue Sentry Yucca, or two variegated forms, Color Guard and Golden Sword. All of them are forms of the native Yucca filamentosa, recognizable by the fine threads that grow from the edges of the leaves. The variegated varieties are banded in green and gold, and make a bright splash against plain green leaves, or among blue forms. Fill the sunny areas around the house with them and you will have color and interest all year round.